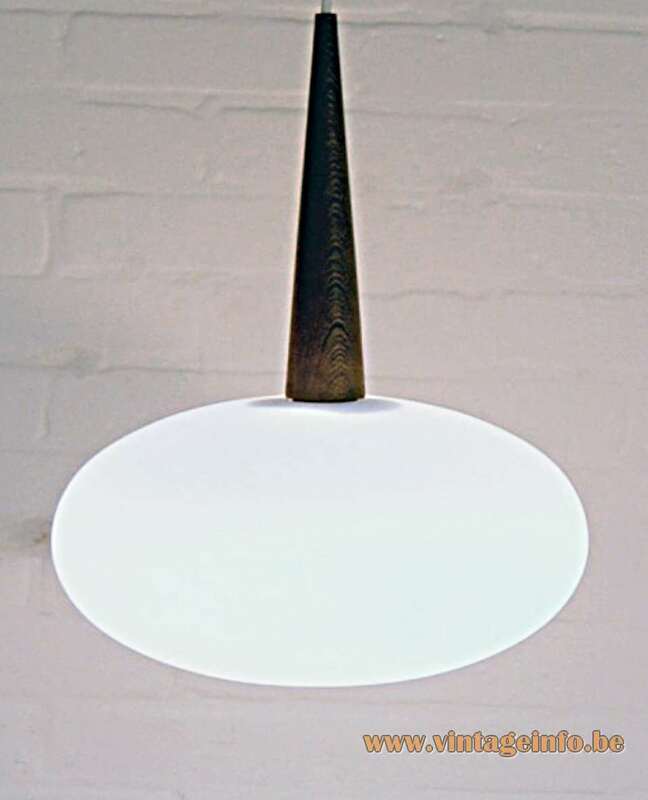 Materials: Opal frosted/milk embossed “ribbed” glass. Some hardwood, often suggested that it is Afrormosia or teak. Metal socket. Any type of light bulb can be used. But preferably a white, opaque or frosted one. Other versions: Different types of glass. They all have a different number starting with NG 74. The one with the plain opaque glass is named after the Edam cheese. 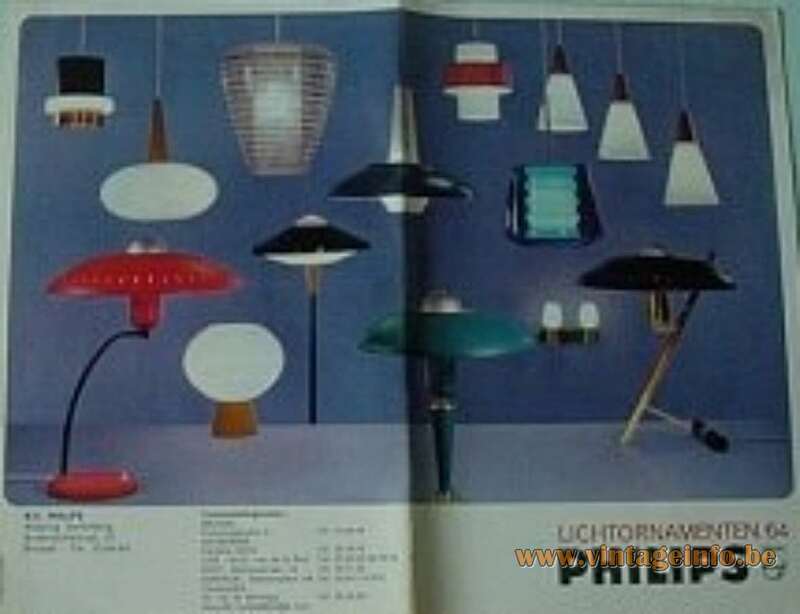 Philips 1963 Advertisement Edam – Belgium – Price 320 BEF, Belgium Francs, today 8 euro. 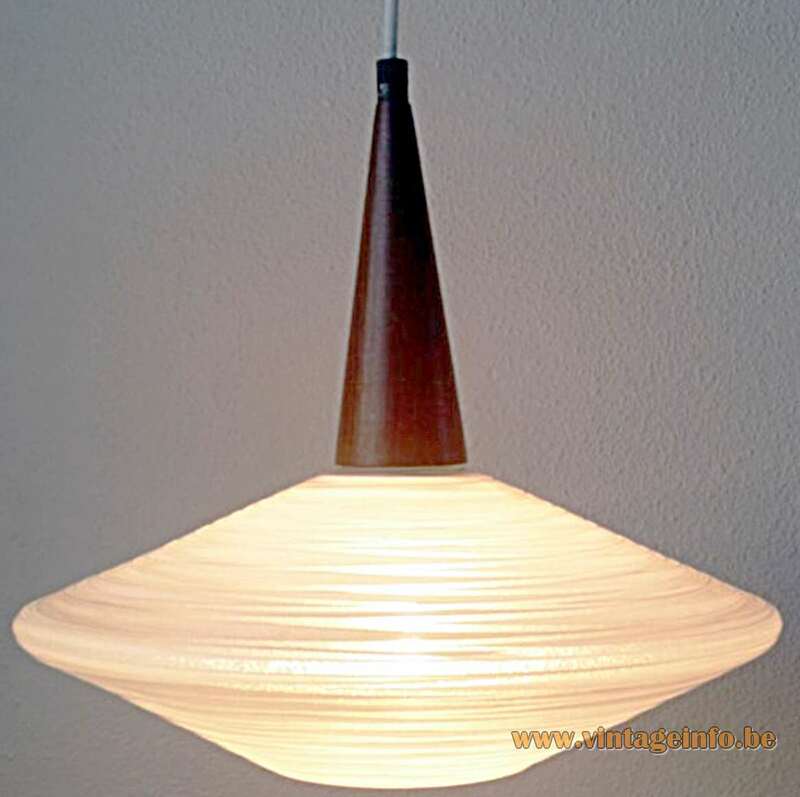 Louis Kalff (Amsterdam, 14 November 1897 – Waalre, 16 September 1976) was a pioneering industrial designer in the Netherlands during the first half of the 20th century. 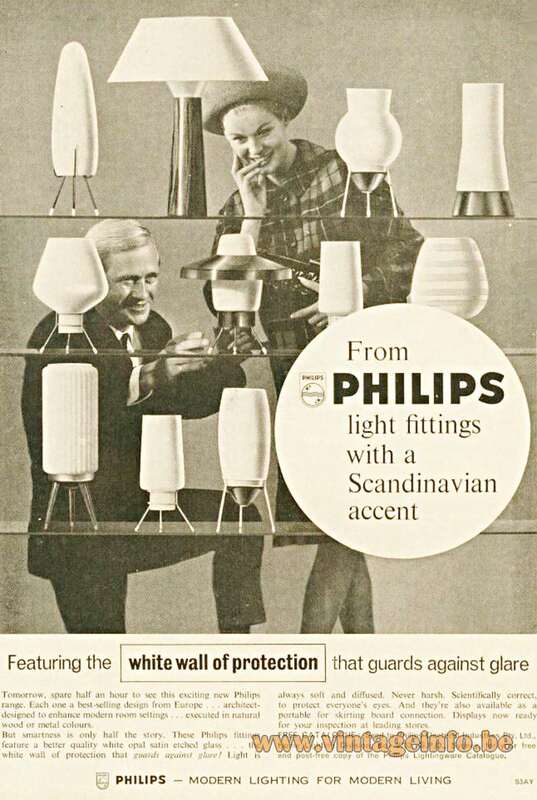 With a solid background including studies in sculpture, ceramics, furniture design and architecture, he began to work for the Philips company in 1924. He started for the department consumer electronics – company marketing. 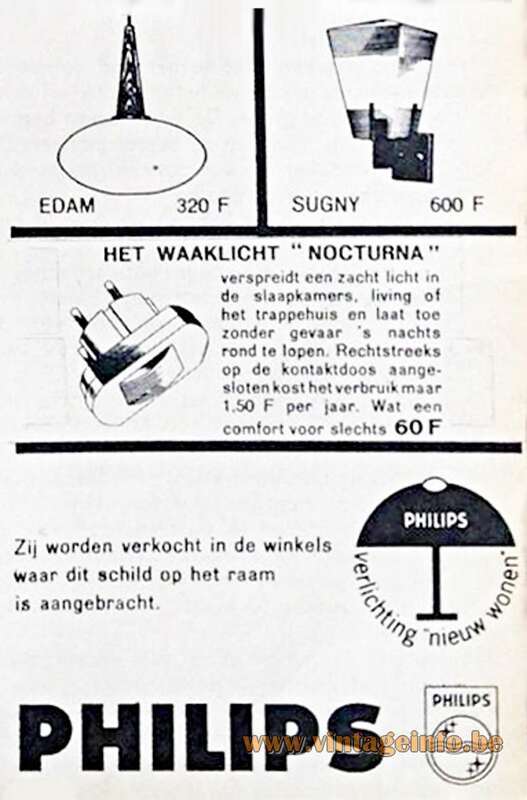 In 1929 he started a department for design of lighting products: LIBU – Lichtadviesbureau (Dutch for light consultancy). 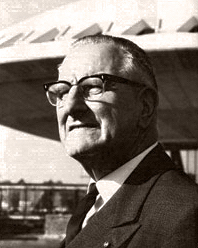 Louis Kalff was responsible for the lighting sections of the World Exhibitions in Barcelona, Antwerp and Paris. As freelancer he also designed posters and advertising for the Holland America Line, Calvé, Zeebad Scheveningen, Holland Radio and many others. He also designed book covers.